This ranking shows the five favorite French movie directors of viewers aged 18 to 34 in France in 2015. Luc Besson ranked first with 54.2 percent of respondents citing him as their favorite French movie director. He was followed by Guillaume Canet and Cédric Klapisch. 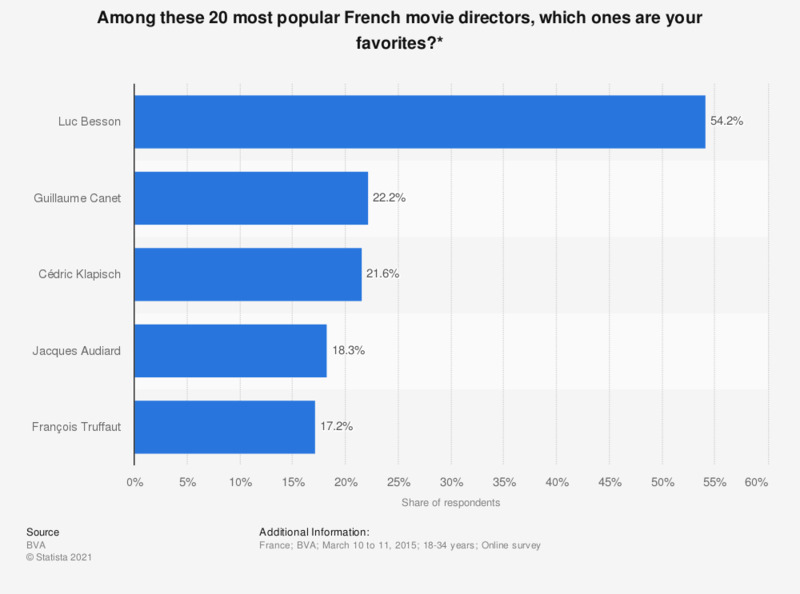 * These 20 film directors are the ones which were the most often cited as "favorite French film directors" in an open question of a previous survey, conducted by BVA in February 2015. Respondents could give up to three answers.